I make 3-dimensional fabric relief pictures that are photographed and used to illustrate children’s books. 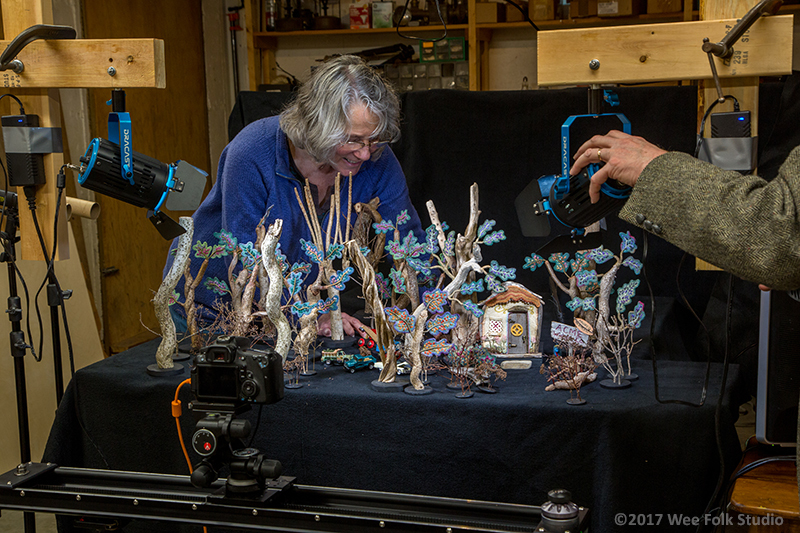 I sew together different materials to create fanciful scenes in relief, much like a miniature stage set, with figures imposed on an embellished fabric background. 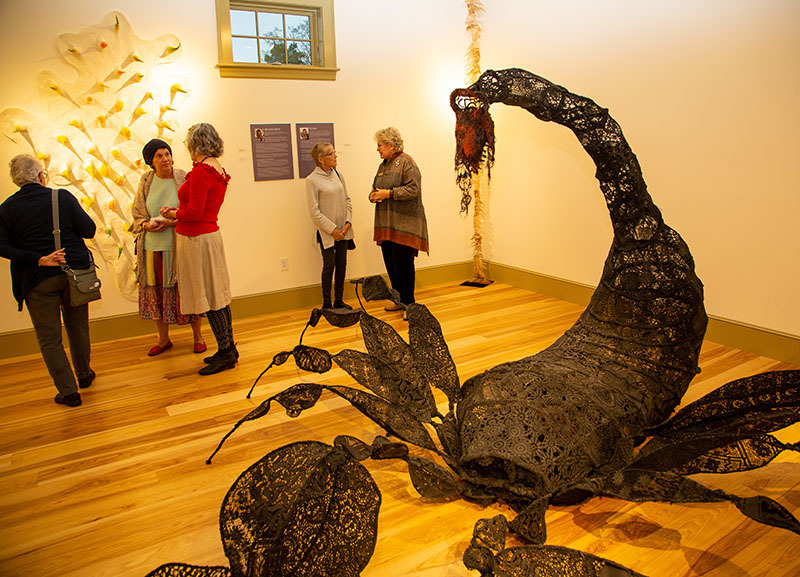 My work is decorative and detailed, full of patterns from nature and found objects, all sewn together by hand with a needle and thread. I am excited to announce a new set of Felt Wee Folk playing cards! Aren’t they a perfect way for all ages to enjoy the wee folk? 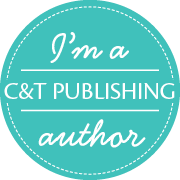 C&T Publishing has just added the cards to their product line, which also includes the 1st and 2nd editions of my how-to book Felt Wee Folk. After selling out earlier this week, they’ve been restocked in my Etsy Shop. I also want to take this opportunity to let you know that I’ve added some doll-making supplies to the shop – wool fleece fairy hair, flower petal skirts and wings. The popular Felt Wee Folk, created by best-selling author Salley Mavor, spring to life in an imaginative deck of playing cards. 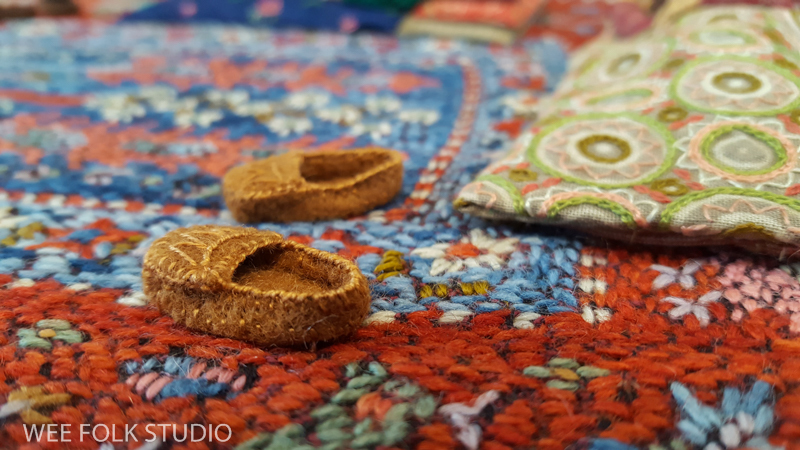 Each felt doll is shown in exquisite detail, so their outsize personalities shine through. So cute you will want to play with them all, these popular playing cards make a great gift for crafters and children, but will be loved by all! The cards are sold in boxes of a dozen in an attractive POP (point of purchase) display. I don’t know if I could survive a year without hunkering down in my studio during the cold months of January and February. It’s like a gift of time, when you can focus and get things done, without warm weather distractions. My plan is to make as much progress as possible on my picture book, My Bed: Where Children Sleep Around the World. The summer deadline looms large and no matter what I do, the process cannot be sped up. So, that means stitching in front of the fire in the evening, too. 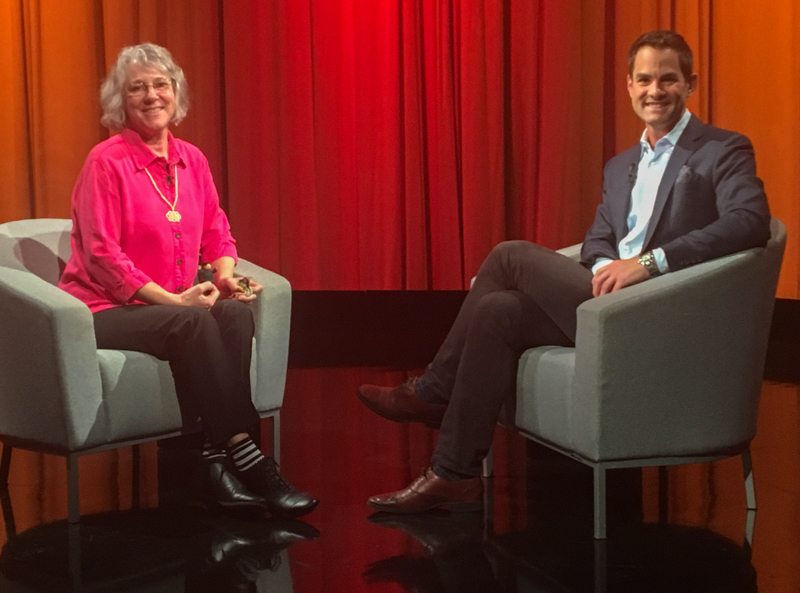 I’m not complaining – this is my happy place! For the past year or so, I’ve been sharing photos of the book’s progress on this blog, with more frequent updates on Facebook and Instagram, which a follower called “a daily dose of eye candy.” The story, which features children in different cultures and living environments, was written by Rebecca Bond and will be published by Houghton Mifflin Harcourt in 2020. Today, I’d like to show how I made a two hump, or Bactrian camel, which will be a spot illustration to go with the North African scene. UPDATE: I am thankful to Anna from Alaska, who pointed out that African camels are the dromedary or one-hump type, which shows sloppy research on my part. So, I’ve just transformed this guy’s two-humps into one! 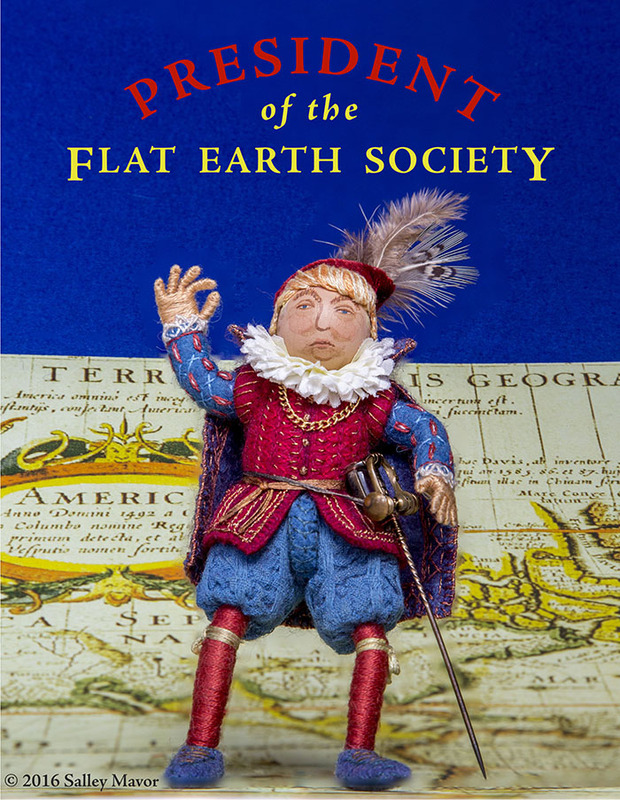 It’s better to find out now, before the book is printed and smart little kids write in to correct me! Transformed from Bactrian (2 humps) to Dromedary (1 hump) Camel. Each double page spread in the book will have a text panel with a corresponding animal; elephant and goldfish, parrot and sheep, rooster, cat, duck. For a guide, I used this wooden toy camel that I made in the mid-80’s, when I went through a period of cutting out shapes on a jig saw. The legs were made by wrapping embroidery floss around a bent pipe cleaner, just like the dolls’ limbs in my how-to book, Felt Wee Folk. Here, I’m stitching a blanket with fringe to the simple cut-out felt shape of the camel. The chain stitch is becoming my favorite way to “draw” and “color in” with thread these days. I stitched the front and back pieces together with a blanket stitch. But before that, I sewed the seed bead eye in place and embroidered the heavy eyelid. The bead is probably set inside a small slit, cut into the felt. Sometimes, I can’t remember exactly how things are done, which is why these peeks behind the scenes are really too vague to be tutorials. I cut out a felt ear, outlined it in blanket stitch and and sewed it to the head. I like to add details, even in the smallest of figures and thought that a little hair on the head and neck would make this camel more distinctive. 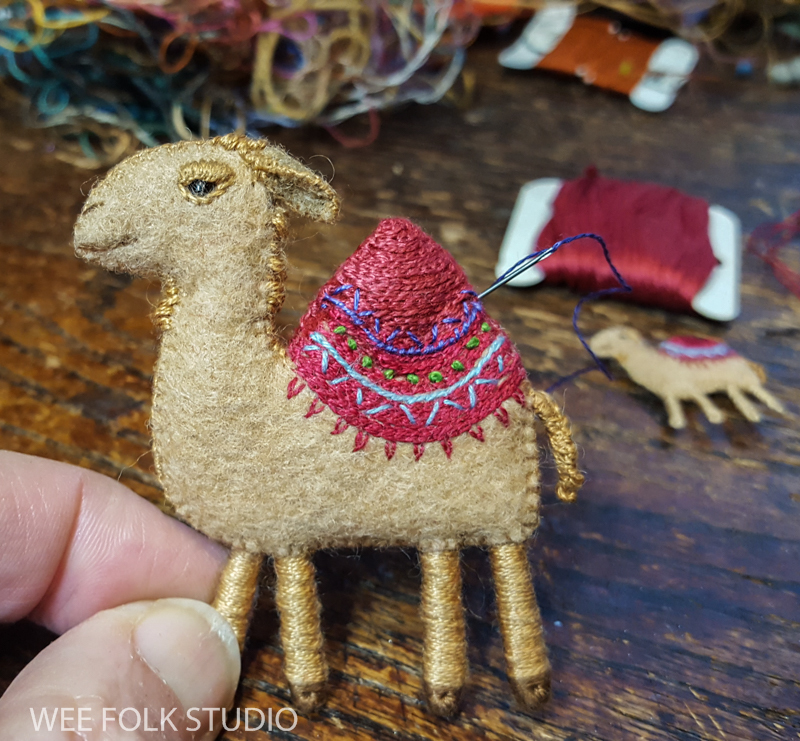 Here’s an even smaller camel, which will be included in another scene in the book. I think I’ve reached my size limit with this one! Let’s start the new year with a duck. It’ll be a spot illustration in my new picture book, MY BED. Each double page spread will have a text panel with a corresponding animal. The duck will appear alongside the scene with a houseboat in Holland, which you can see here. As with the other animals I’ve made so far (elephant and goldfish, parrot and sheep, rooster, cat), I start with research photos. In this case, I searched for pictures of a classic rubber ducky, with webbed feet. I was so interested in figuring out how to make the feet, that I tackled them first. That turned out to be a mistake because they ended up being too small and out of proportion to the body that came later. I want to use this duck as an example of how I really work, which is not in a straight line, but here, there and everywhere. My creative process is full of experiments that may or may not end up in the finished piece, but they are essential to getting there. The second pair of feet (pictured below) are a little bit larger and more neatly defined. It’s not unusual for me to take several tries to get something the way I imagine it. There’s a lot of ripping out and starting over, which is one of the advantages of using thread. For the feet, I devised a kind of weaving stitch that created the webbing between the 3 toes. The body and wing are made of 2 shades of yellow felt. The beak was a bit tricky to get to look right and took several attempts. It started with a thread wrapped piece of wire that’s bent into two V shapes for the top and bottom of the beak. I then stitch the thread wrapped wire onto the head. The round shape of the head is from a wooden bead that is covered with felt, which I forgot to document with a photo. I wasn’t happy with how this beak (below photo) was coming out, so I ripped it out and started over. I’ve had practice making bird beaks for the Birds of Beebe Woods and the Twitter Bird in my animated film, Liberty and Justice, but it’s like a new experience every time. When faced with a new challenge, I let my hands guide me, trusting that a solution will appear. That’s what keeps it interesting and never boring! This is the second try at forming the duck’s beak. After stitching the top and bottom beak in place, I wrapped thread around the wire. I then added a seed bead eye and stitched on the wing. It looks like I opened up the bottom of the duck’s body to make room for it’s legs. They were the last to stitch in place, with the first pair lingering in the sidelines. After looking at the duck for a while, I decided that it need more personality. The plain rubber ducky look just wasn’t enough! So I added some details, like the embroidered feather texture and the distinguishing lines on the wings. It’s been quite a year. Thank you for coming along on my artistic journey, which I endeavor to make entertaining, as well as thought provoking. 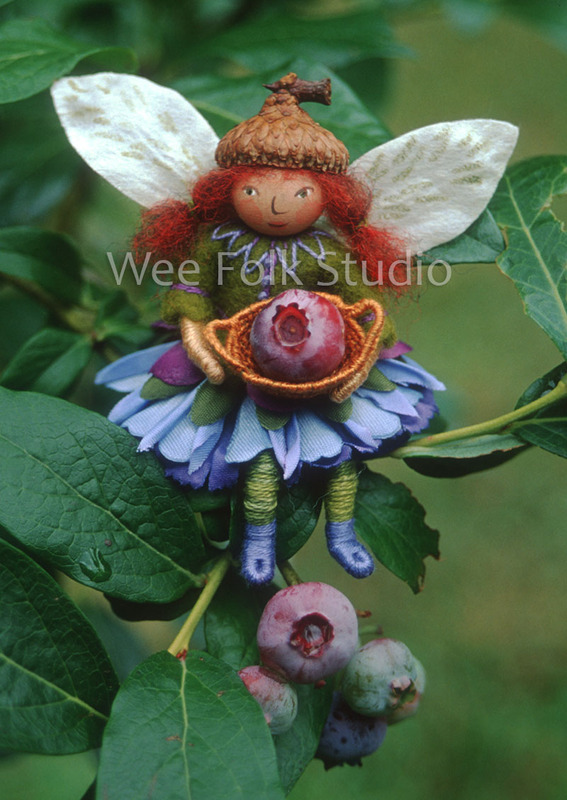 It’s encouraging to know that you are out there, interested in what’s happening at Wee Folk Studio! To help review the year, I’ve organized a list of all of the posts published on this blog in 2018. They are grouped by topic, including a miscellaneous category at the end. Like my work, the subject matter ranges from precious to provocative. Along with the ubiquitous fairies and Polly Doll adventures, there’s our animated film, “Liberty and Justice” and the exhibit that caused a ruckus. I also documented the process of making a new picture book, “My Bed: Where Children Sleep Around the World”, which will continue into 2019. I hope you enjoy the 2018 tour. 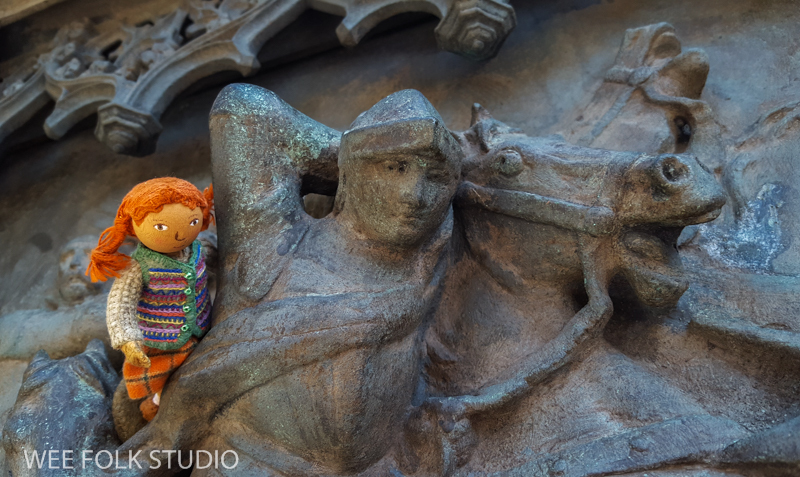 Polly traveled to Scotland in her custom made Fair Isle vest. An odd collection of posts, from studio discoveries to activist art to a family recipe. 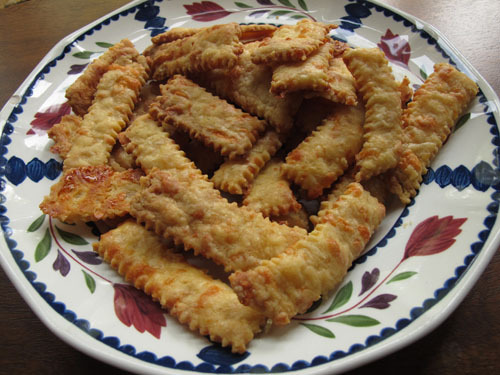 The best cheese straws in the world! I wrote this post 2 years ago and don’t know why it stayed in the drafts folder all that time. It was clearly written during a period of procrastination or when there was a gap in my work schedule, because it mentions cleaning my studio, which rarely happens. Right now, I’m engrossed in the process of working on a new children’s book, which you can follow here. 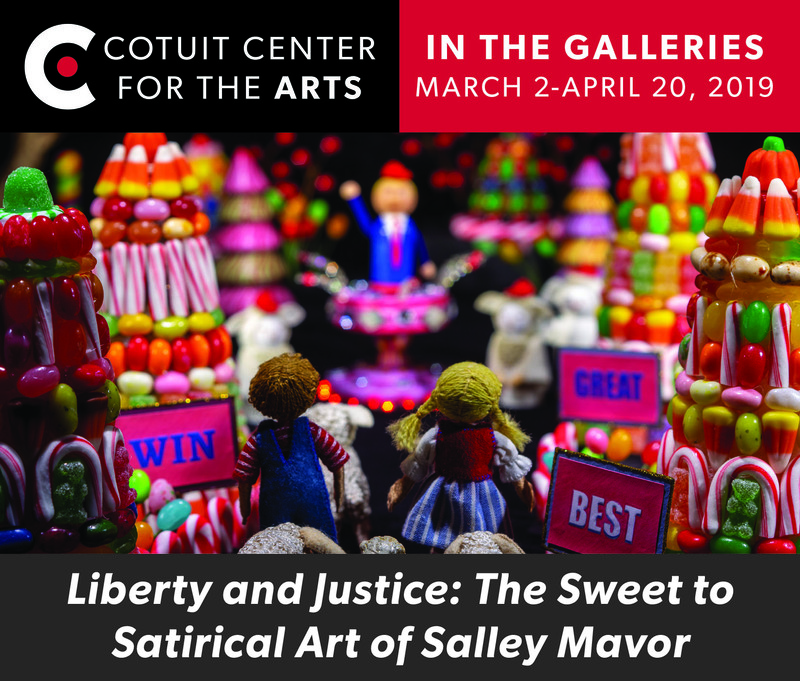 It’s a calming break from earlier this fall when my Liberty and Justice exhibit caused a ruckus because of its political satire. So, let’s take a little detour and visit some small things around my studio! But first an UPDATE on last week’s offer of special discontinued cards. Even though they sold out quickly, there are other designs available, like this 8 card sampler of wee folk babies and fairies. 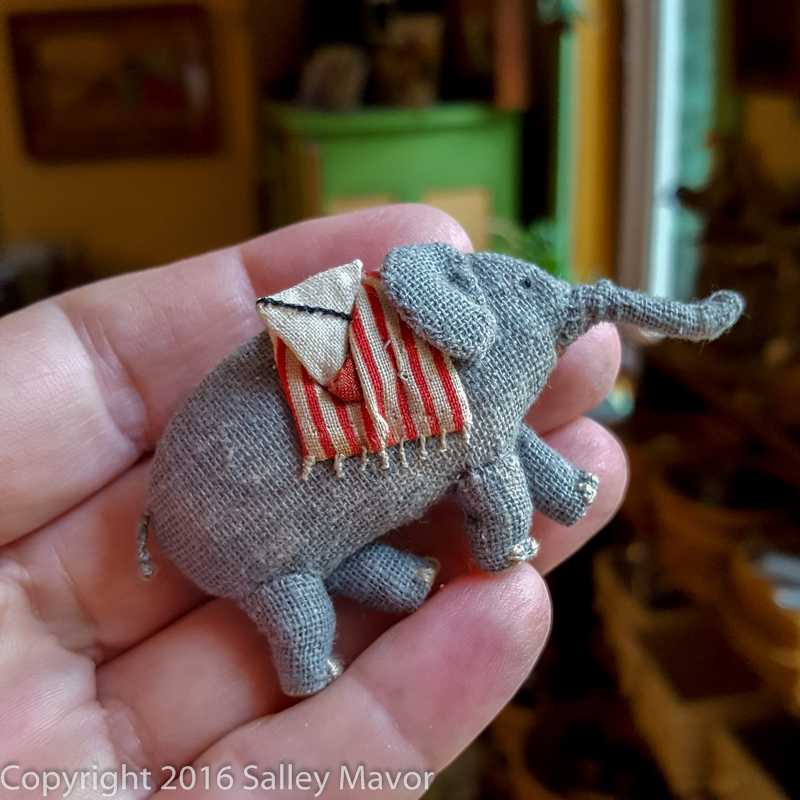 — While cleaning up my studio, I came across the elephant pictured above. Her name is Savi and she is the main character in The Way Home, my first book. This attempt at an elephant wasn’t up to my standards (I think the bumpy trunk bothered me), so she never made it into an illustration. She’s been hanging out in my studio for 25 years. I took her picture and posted it on Instagram and Facebook. Since then, I’ve found more small things to photograph and post. I’m holding some of them, so you can see the scale in relation to my hand. There’s Humpty Dumpty, 1 inch wee folk characters, a house and leaves that were used as spot illustrations in Pocketful of Posies. There’s a chipping sparrow that wasn’t included in the finished Birds of Beebe Woods. And at the end is a yellow telephone I made while in art school over 40 years ago. I am happy to offer a very limited supply of discontinued Wee Folk Studio note cards, which were recently discovered in storage. Most of these designs were originally released in the early 2000’s and have been out of print for over 10 years. They come from a time when my business was dominated by fairies, with dozens of varieties of kits and cards sold on a wholesale basis to catalogs and stores. Back then, I could be seen photographing fairies all over town, along the roadside, at the beach or on the bike path. 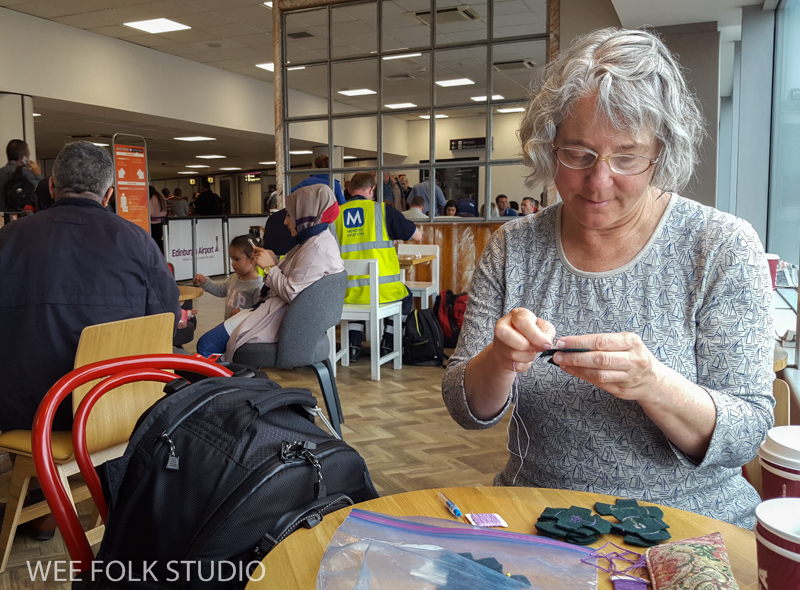 This all-consuming experience led to writing my how-to book, Felt Wee Folk, which gives step-by-step instructions for making your own fairies and wee folk characters. My work has taken me in other directions since then, but I look back fondly at this period when the possibilities to expand the wee world seemed endless. I don’t think I would be making the kind of art I am today, if I hadn’t gone through this “fairy period”. The cards will be sold in packs of 8 different designs, 4.25″ x 6″, with envelopes, in a vinyl wallet. The watermark will not appear on the cards. Each set will include 8 different cards, selected at random from a choice of 16 different images — Bay Berry, Morning Glory, Princess Dill, Harvest Folk, Swamp Rose, Dandelion, Lavender, Crystal, Flora and Rosebud, Sweet Pea, Milkweed, Bitter Sweet, Blueberry, Petite Pea, Moon Shell, and Rosita. 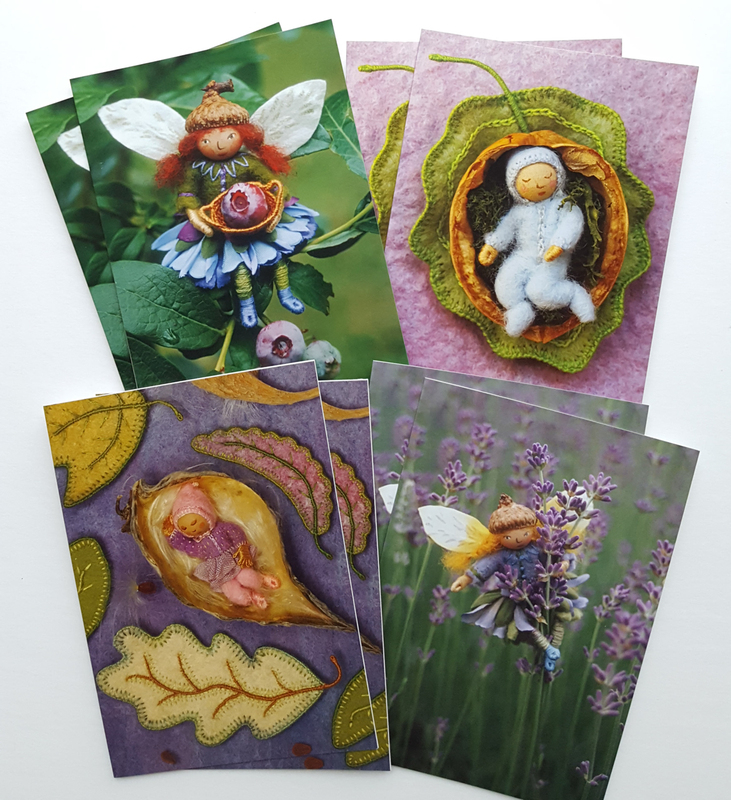 UPDATE: The discontinued cards sold out quickly, but there’s another 8 card sampler of fairies and baby wee folk available, which is a good substitute. Please enter my Shop HERE. This family recipe was first published on my blog 6 years ago. Based on the numbers of visits since then, the post has been a constant favorite ever since. If you want to bring something special that’s not hard to make to a holiday party this season, try it out! 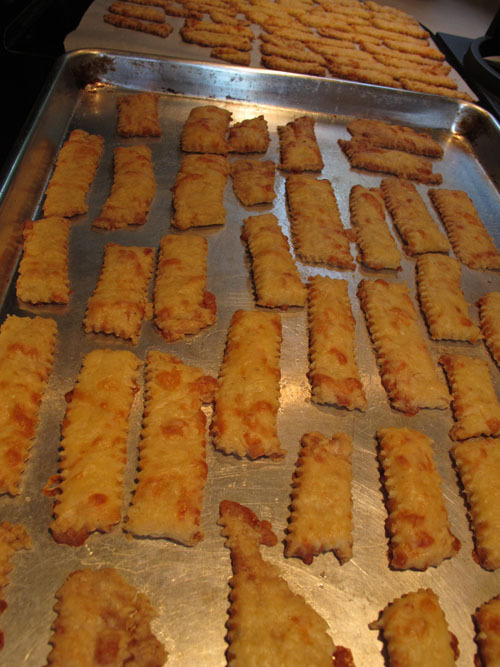 Cheese straws are my favorite offering to bring to holiday gatherings. The recipe comes from my maternal grandmother’s family from Orangeburg, South Carolina. The tradition has been passed down from mother to child for generations. 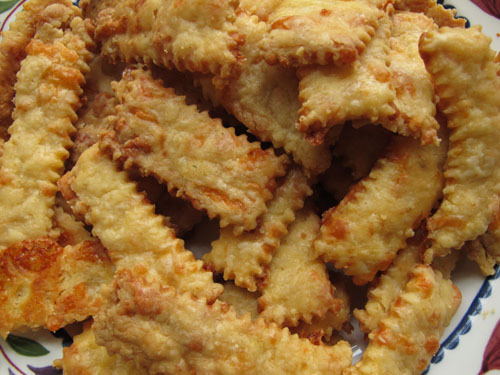 There are cheese straws and then there are these cheese straws, which always get a lot of attention. I’m working on teaching my sons how to make them – they sure like to eat them! 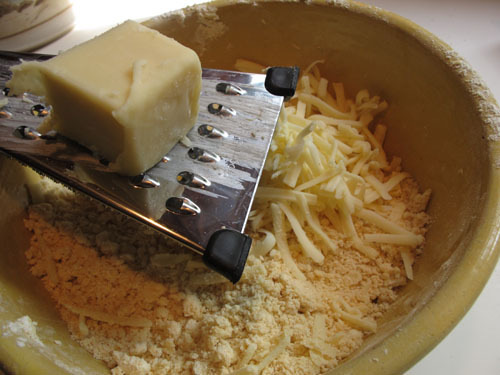 The trick is to use the sharpest cheddar cheese you can get and to roll them as thinly as possible. 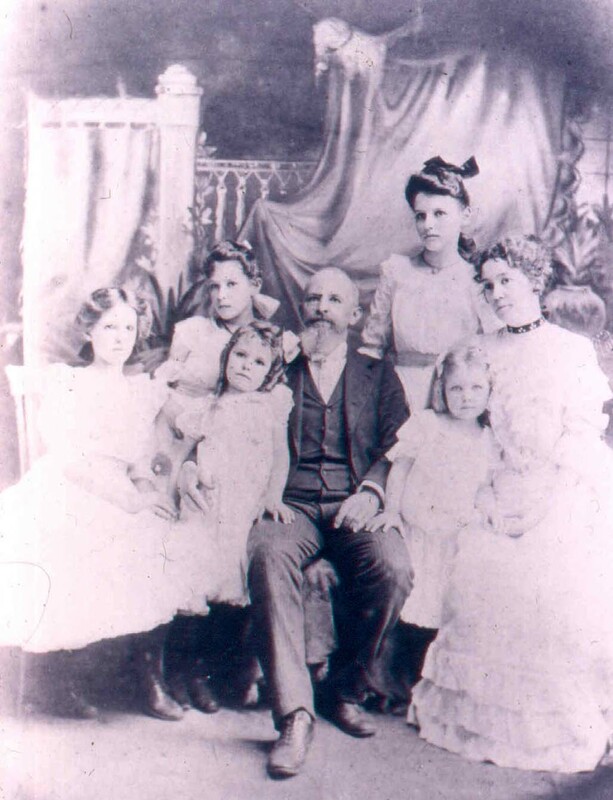 My grandmother (2nd from left) with the Salley family, in about 1900. Ingredients: 3 Cups flour, 2 tsp. seasoned salt (I use Lawry’s), 1 tsp. 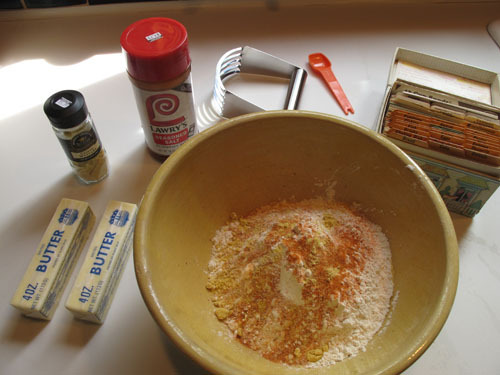 dried mustard, 1 cup butter, 8 oz. very sharp cheddar cheese. 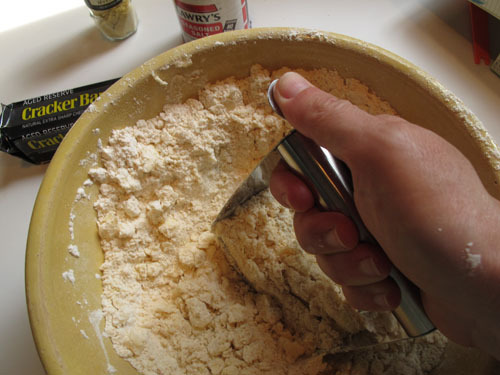 Start by mixing the flour, salt and dried mustard in a bowl. 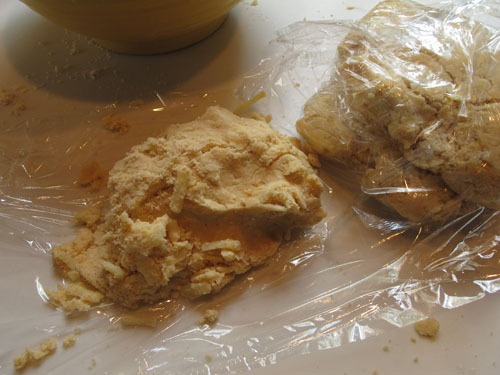 Cut in the butter with a pastry cutter, like you are making pie crust. 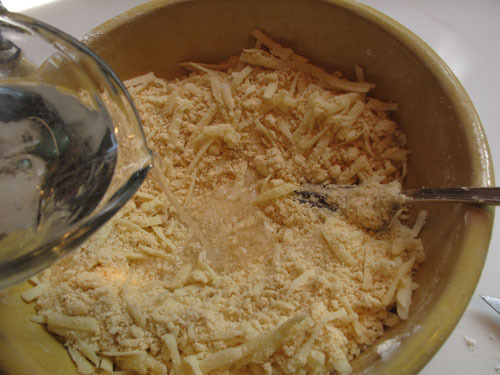 Grate the cheddar cheese and stir it in with the flour mixture. Dribble ice water into the mixture and combine until it sticks together in a doughy consistency. Don’t let it get too soggy! Divide into balls, handling the dough as little as possible. Then wrap the balls and refrigerate for a few hours. 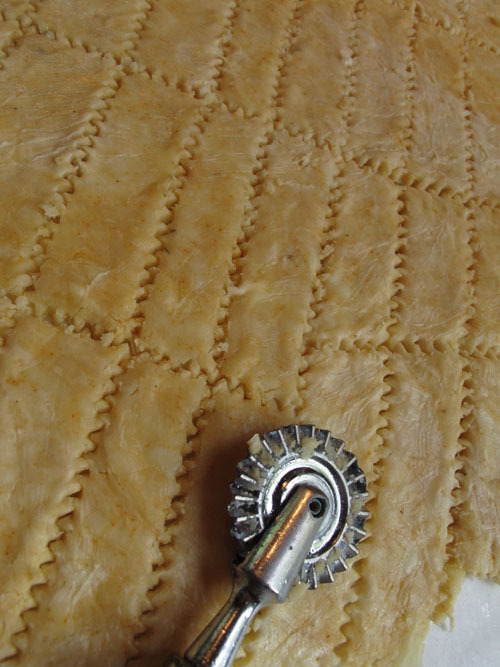 Roll out the dough balls as thinly as possible and cut in strips with a pastry wheel. Spread the straws out on a cookie sheet and bake in a 350 degree oven for 15 to 20 minutes, until golden brown. They may take longer to cook, so check them often and switch pans to different racks during baking time. They don’t take long to cool, so immediately sample a few. Now, put them out and watch them disappear! They can be saved in a tin and make a great gift, too.